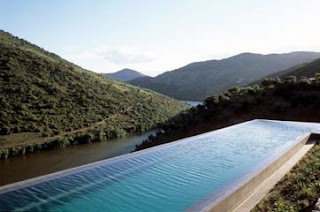 Cobbled and colonial but also contemporary and quirky, I recently had the chance to stay at the brand-new Douro Valley hotel, Quinta da Romaneira. From one look at the interior design it's clear that super-picky attention to detail is paramount. 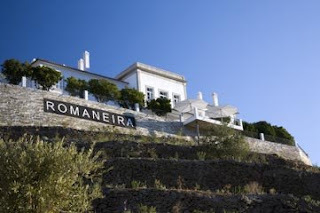 Thierry Teyssier, the creator of Quinta dos Sonhos (Romaneira's Portuguese name) considered every color, visualized every view, procured the highest spec fixtures and then sprinkled the 13-room hotel and working wine estate with imaginative artworks. 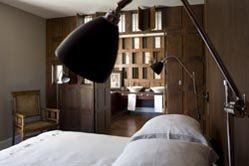 Demonstrating an excruciating eye for detail, it comes as no surprise that the Parisian party planner took three years to finely tune this latest high-concept luxury hideaway in the craggy hills of Portugal's wine region. It's nothing new for hotels to gush that each room is individual, a "selling point" that's usually tantamount to drab drapes in the same patterned fabric but in a different shade. However, the furnishings in every idiosyncratic enclave of this Maisons des Rêves property (there are two sister resorts in Morocco) have been cherry-picked from around the globe. Teyssier's search for special pieces started years ago with trips to Asia and Africa, reaping treasures such as one bedroom's 19th-century day bed from Macao. Dark wooden flooring and original tiling lend a classical elegance to Dona Clara, the more traditional of Romaneira's two villas. In the library, muted natural purple and green tones echo the landscape of grapes and vines, and mingle with unexpected antiques such as a Victorian tailor's display cabinet of collars, a row of paint brushes and an old phonogram. Despite dating from 1854, Romaneira's more modern-styled villa, 'Quinta Velha,' is even more out-there in its arty objêts. A russet-colored, cement-floored lounge showcases Damian Hirst-reminiscent butterfly-laced screens, a collaboration with artist Francis Guerrier. Venture further and discover New Guinea-inspired frescoes and Teyssier's Amazonian finds — feathered tribal headdresses. 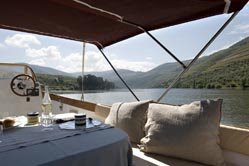 What was once wine cellars now contains a slender 25-meter pool, suspended above which are old rabelos, or riverboats. Another annexe, "Les Comptoirs," is a homage to Portuguese trading posts of centuries past, wherein lies the "Chocolaterie," where teatime treats are displayed in cabinets previously used by Goan tea sellers. Eating and drinking at this style hotel is amazing, right down to carefully choreographed different-every-mealtime dining locations. Unique crockery, linen, glassware and cutlery have been hand-selected to complement each setting, be it in a traditional azulejos-tiled dining room or fragrant lemon grove. 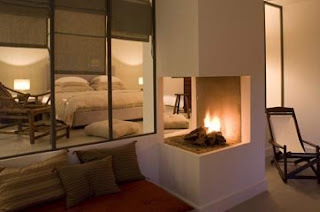 For more info on Romaneira, including a list of other boutique hotels in Portugal visit Mr & Mrs Smith.